Craftin' Caro: January 2010 classes! Want to escape this cold weather and come stamp in a nice cozy studio? I have a variety of classes planned for January that will tickle your fancy... pick one (or more) to come to! Perfect to hand out when you need them! You’ll be making a set of 9 “Thank you” cards, 3 each using the “Elegant Notes”, “Pendant Notes” and “Fresh Cut Notes” from page 168, all with matching envelopes. 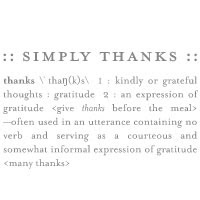 Class INCLUDES the “Simply Thanks” stamp from page 208! COST: $24.95 for class or FREE with a $75 order placed at the class, including SAB set! Each month you will make 2-3 different projects, sometimes with a different technique or use of an accessory. COST: FREE with a minimum $25 order placed today. To learn more about how YOU can join a stamp Club and get free catalogues, hostess benefits & merchandise, please visit my Club page. 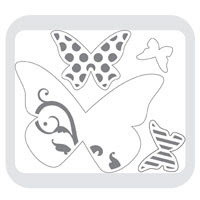 Today we’ll be making fun projects using the Sizzix Big Shot dies & texturz, including the new Big Shot items from the Occasions mini catalogue: Mini Milk Carton, Beautiful Wings Embosslits Die and the Perfect Polka Dots Textured Impressions Die. COST: $24.95 for class or get your class FREE with a $75 order placed today, including SAB set! Demonstrators pay $19.95 each, class only. Today we’ll be making a set of baby & kids cards! 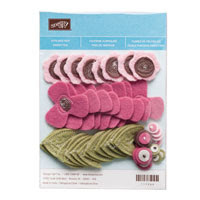 COST: $24.95 for class INCLUDED the Sweet Pea Stitched Felt pack from the Occasions Mini or get your class FREE with an $85 order placed today, including SAB set! Come and make 10 all-occasion cards with me! COST: $39.95 for class or get your class FREE with a $100 order placed today, including SAB set. Demonstrators pay $29.95 each! Today we’ll be making a set of cards using the "Very Thankful" Ronald McDonald House set! COST: $39.95 (includes the stamp set) or $24.95 for class only. Demonstrators pay $19.95 each, class only. Join me today to see great samples made with the new Sale-A-Bration sets and enjoy a free Make & Take while here!